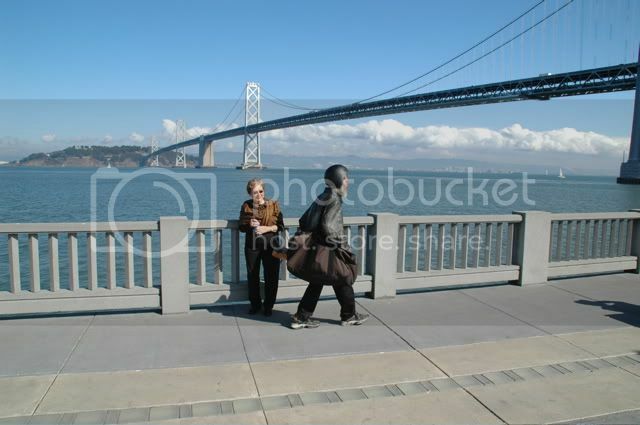 San Francisco is full of contrasts that are very evident to guests and tourists. Basically its a beautiful city with a terrible homeless problem. But with the temperate climate and generous handouts, why be homeless anywhere else? Mom says hello to a colorful local.